Her death shocked her colleagues and friends near and far. From South Africa to the United States, people sent their tributes, in which they recognized how much she inspired them through her writing and spoken word performances. Much like her mentor Caribbean-American poet Audre Lorde, Ayim, too, believed in the “subversive power of lyrical language.” 1 As a talented and well-known writer at home and abroad, her poetry and prose served as a form of intellectual activism and as a medium to incite socio-political change. In fact, Ayim derived a key source of political and emotional energy from her writing, which was a constitutive element of her activism. May Ayim was not unlike other Black diasporic women such as Claudia Jones or the Nardal sisters, producing materials that shaped diasporic culture and politics and that promoted Black intellectualism and internationalism. She integrated diverse styles, such as the Blues, that reflected her wide-ranging interests in and ties to the transnational Black diaspora. 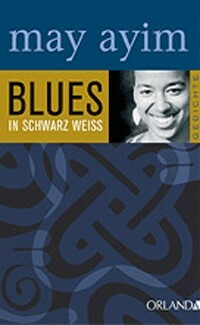 Ayim even incorporated West African Adinkra symbols in her first poetry volume blues in schwarz weiss (Blues in Black White) – representing her Ghanaian roots. In the volume, poems such as “afro-deutsch I,” “afro-deutsch II,” “autumn in germany,” “community,” and “soul sister” tackled the themes of identity, difference, community, and marginalization, reflecting her (and other Black Germans’) experiences in Germany. 2 She also used her writing to negotiate her Black Germanness and to write herself into German society and the Black diaspora. She was a powerful and inspiring figure who helped to pioneer and lay some of the groundwork for the field of Black German history. 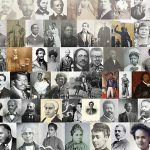 She excavated it, and in the process, learned that Black German history started long before the post-1945 period. This knowledge culminated in her Master’s thesis, which was then published and disseminated through the 1986 publication Farbe bekennen: Afro-deutsche Frauen auf den Spuren ihrer Geschichte and her other writings. Moreover, Ayim left an indelible mark on the Black German movement – a movement that she helped to shape in the 1980s, especially with her co-founding of the West Berlin chapter of ISD or the Initiative of Black Germans (now called the Initiative of Black People in Germany). She organized national and regional events for ISD, including its annual Black History Month celebrations that took place in Berlin. 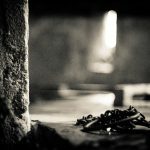 Through these events, Black Germans refashioned their Black diasporic identities, nurtured their diasporic consciousness, and developed further connections to their Black diasporic roots. Black Germans used ISD and other organizations to create new cultural practices, obtain and retain recognition, and campaign for social justice in Germany. They also found kinship and community, uniting with and cultivating relationships with Black compatriots. After years of isolation in predominately white environments, this was a welcome and necessary change. 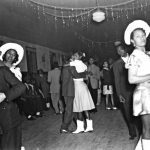 More importantly, the movement enabled Black Germans to find a sense of empowerment and to carve out spaces for themselves within the nation on their terms. Indeed, Ayim played a significant role in this development. Ayim’s legacy remains tied to the Black German movement and Black German literature, but it was a combination of the two that helped her achieve recognition internationally. At the time of Ayim’s death, her star was increasingly on the rise with invitations from all over the world. This international recognition afforded her opportunities to participate in a variety of conferences and symposia that focused on human rights, anti-racism, feminism, and the Black diaspora. 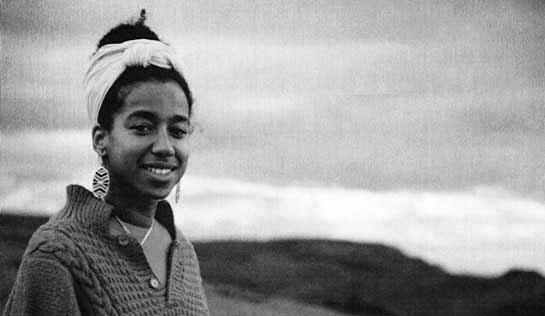 By attending these international events, she forged connections with individuals across the diaspora such as Jamaican-British Dub poet Linton Kwesi Johnson, Caribbean-American writer June Jordan, and African-American sociologist Patricia Hill Collins. 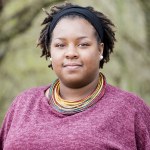 During her cross-cultural excursions, she performed her poetry and shared knowledge about Black Germans and the persistence of German anti-blackness, anti-Semitism, and racism. Her participation in these events served as a form of advocacy work, in which she demanded equality not just for Black Germans, but also for all individuals of color. Embodying Black women’s internationalism, Ayim practiced intersectional politics with her international engagements. She attended the “Women in German” (WiG) conference in Portland, Oregon in 1987, where she gave a reading from Farbe bekennen. 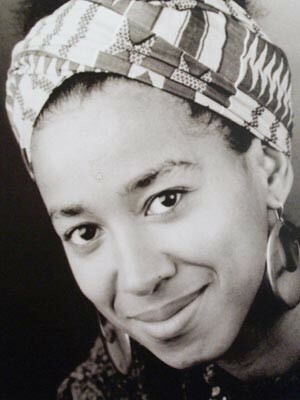 At the Third International Feminist Book Fair in Montreal, Canada in 1988, she also performed pieces from Farbe bekennen and presented on a panel with other Black German women, such as Marion Kraft and Helga Emde, that examined writing, discrimination, and the experiences of Black Germans. These experiences rendered Black Germans visible on the global scene. Participating in the 1992 “African Women in Europe” conference in London, England, Ayim gave a speech entitled “My pen is my sword: Racism and Resistance in Germany.” In it, she stressed the importance of writing as a medium for coalition building and social transformation for herself and for Black Europeans more generally. She also explained the plight of minorities in Germany and their sustained efforts at mobilization. This conference also cemented her desire to improve dynamics in “Fortress Europe,” a space that continued to treat non-white Europeans with hostility and that increasingly made European borders impenetrable to refugees and migrants. At the Second Annual Panafest Symposium in Accra, Ghana in 1994, she continued to enlighten international audiences on Black German and Black European experiences. Her impact is significant – as noted by the fact that in 2011 a street was renamed the May-Ayim-Ufer in Berlin-Kreuzberg. Ayim built networks and alliances with Black Germans and other people of color in Germany and abroad. Ayim’s involvement with the Black German movement and her literature helped her attain international acclaim, which she used to promote her socio-political activism, fight for social recognition for Black Germans, and address issues of bigotry and exclusion in Germany and Europe. 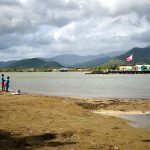 Ayim’s participation in international events not only informed her diasporic, anti-racist, and feminist activism, but also demonstrated how the local, national, and international were deeply intertwined in her life. Insightful and informative article on May Ayim — but all I really needed to see was that picture of her alongside Audre Lorde. Now, I’m off to obtain literally everything on her I can get my hands on. Thank you for sharing with me this amazing Sister’s story!